AN 18TH CENTURY OLD SHEFFIELD PLATE SILVER CREAM PAIL. GEORGE III, CIRCA 1775. 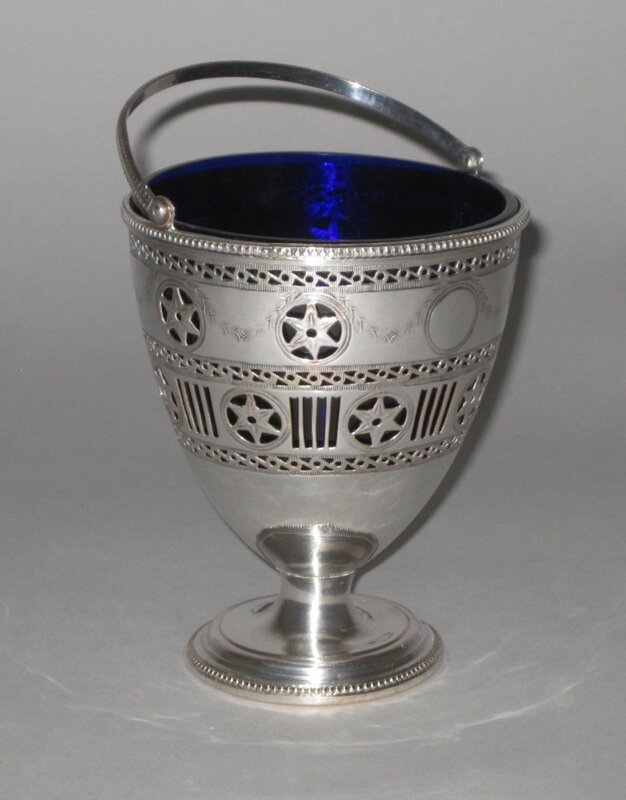 Of a large size and of round pierced and chased form, with a swing handle, inset with a blue glass liner and raised on a collet foot. Height: 5ins, Diam: 4ins.